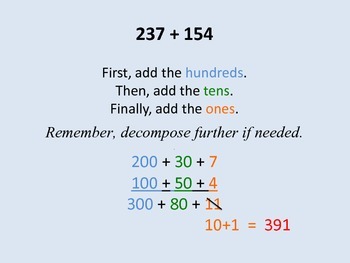 This is a series of slides that shows the order of operations for decomposing 2 and 3 digit numbers. It is color coded so that students and parents can use it easliy. 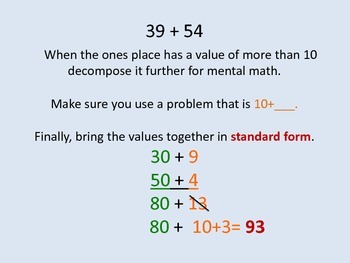 I have posted it for homework and used it for instruction and review. It's an simple explaination of the strategy and can be used as a hand out, or linked to your website for parents to refer back to when assisting their child at home.